Cabernet Sauvignon, the most popular red grape in the world! In the next couple of weeks, leading up to our Cabernet Sauvignon vertical on August 25th, I will be sharing some wonderful info about this popular varietal. I will share each week a little something. 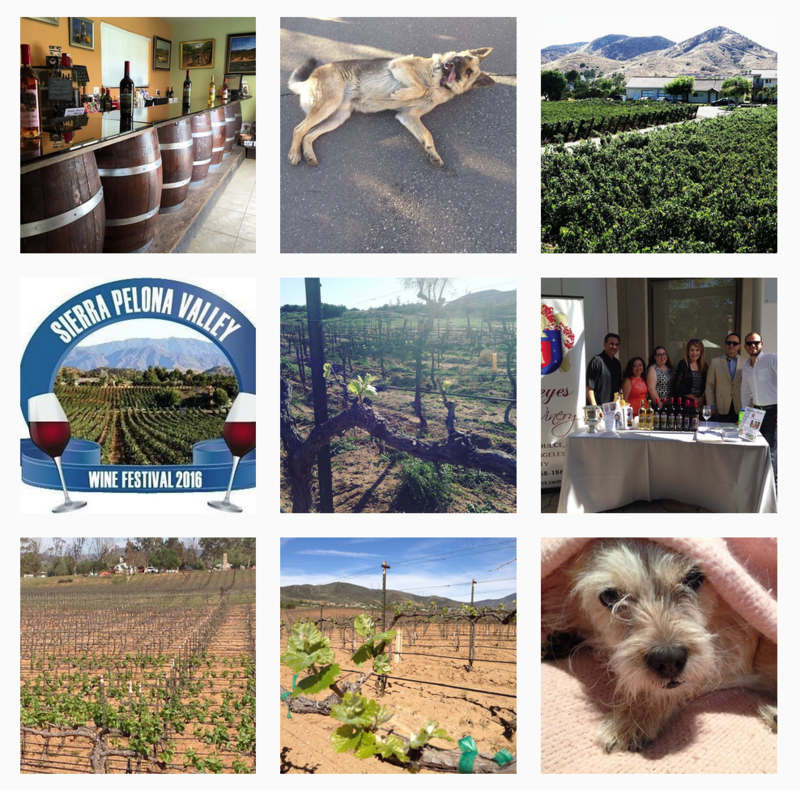 There is so much to share about the fantastic grape that it’s too much for just one week. 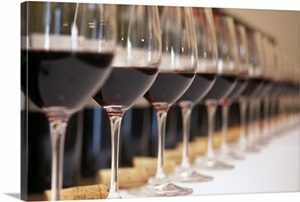 Cabernet Sauvignon is considered to be one of the most popular wines. America is the third most grown varietal around the world. In 1996, through DNA profiling, the grape history has been identified. Just like you can get your DNA tested, so can grapes. 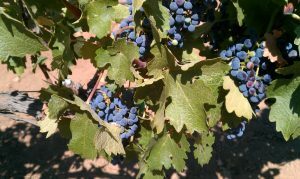 Cabernet Sauvignon is the offspring to Cabernet Franc and Sauvignon Blanc. It happened in the 17th century in Bordeaux, France. Its thought was possibly started in the Medoc region of Bordeaux. This is a hardy grape. It buds late, so it generally won’t have an issue with frost. Too much rain can cause issues with mold with this varietal and other of course, but it is the main issue winegrowers have had. Its full bodied with high tannins and fair amount of acidity. Last week I mentioned about the 2010 Cabernet Sauvignon and this week will be the 2011. This wine is much drier than the 2010. 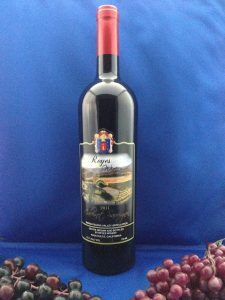 This outstanding rich and luxurious wine exhibits flavors of intense dry strawberry with a hint of cracked black pepper, and finishes with soft and detailed tannins. Pairs well with duck cranberry, Pepper and garlic herb rib roast, and peppercorn crusted chevre, or strawberries with a balsamic reduction. It received 88 points in the Wine Enthusiast Magazine (12/2017 Edition). When we premiered this fabulous wine, it was ladies night. I served a spinach salad with turkey bacon and strawberries with Cabernet vinaigrette. For a hot summer evening, like we are having now, this is perfect. Make sure your wine is slightly chilled and yes your red wine can be chilled. Since the weather has brought us such record high temperatures, drinking red wine at the optimum 54 degrees is truly suggested. Put it in the fridge and 30 minutes before you are ready, take it out. It will then warm up to be just right. Once you then put your hand around the wine glass, it then finishes bringing the temperature to its best. Come enjoy this wine at the tasting room this week. It is on the tasting sheet for you to try. Don’t forget we have air conditioning, so come out and try this classic wine. ← What is a blended wine?